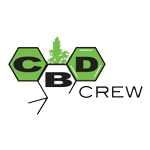 CBD Crew was formed in the summer of 2009 and have since strived to achieve an optimum ratio of 1:1 THC:CBD, for their entire collection of cannabis seeds. And guess what? They\'ve achieved that! The reason for focussing their breeding efforts on CBD-to-THC ratio, is because of the profoundly positive medical effects these plants can provide to millions of people around the world that suffer from convulsion, inflammation, anxiety, and nausea, and schizophrenia.